--> “If one earnestly prays with whole heart, until tears flowing from eyes, saintly persons immediately answer the prayer even after casting their mortal remains and from the spot where the mortal remains are laid. They make one realize their presence by way of sound or light. In this modern age, they continue to bless the devotees from underneath the ground like a buried treasure, without disclosing their presence. Sri Sakkarai Amma of Thiruvanmiyur, Chennai is one such enlightened soul showering her blessings on visitors to the spot where her physical frame lies under the ground. (A ‘siddha’ (enlightened person) from Radhamangalam, Nagapattinam Dt., TN). --> My husband and I went to Sri Sakkarai Amma temple for the first time at the advice of our guru Sri Ayyah Pillai. While I was sitting before Sri Amma’s idol with closed eyes submitting my worries, I felt some young woman’s lean hand touched my forehand. I thought some lady might have passed through by my side very closely or my husband might have touched me inadvertently, while taking vibhooti (sacred ash). When I opened my eyes after sometime and asked him if he touched me or anybody passed through very closely, he replied in the negative. There was none in side and I realized it was none other than Sri Amma. I felt extremely happy. Smt. Sujatha Ram, Pammal, Pallavaram, Chennai 43. --> I was asked to cook some offering at home to be presented before Sri Sakkarai Amma at the time of worship and I did prepare but asked somebody to take it. Nobody turned up to take it. I felt sad and made it again and took it by my self. I experienced immense happiness hitherto unknown to me. My mind had also felt calm. 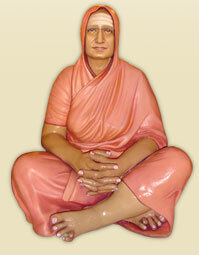 This indicated that Sri Amma expects her devotees to come in person to present their offerings. --> One of my neighbors used to accompany me whenever I went to Sri Sakkarai Amma temple. Her divorced daughter was mother of a young girl. My neighbor was burdened with the worries about the future of her daughter, as it would be very difficult to find her an understanding husband. She submitted her worries before Sri Amma with whole hearted faith and very soon, her daughter got suitable match who not only married her but accepted her daughter as his own. We have no doubt that it was Sri Amma’s grace that got a good husband to my neighbor’s daughter. In these hard days of securing admission in quality schools and colleges, my son and daughter could get admission in engineering and master of business administration course respectively and I am sure that it was possible by Sri Amma’s benevolence. Smt. Subhashini Narayana Rao, T Nagar, Chennai 17. --> I used to go to Sri Amma’s temple every evening and soon I had the good fortune of attending to the upkeep of the temple. I do not seek anything from Sri Amma for me particularly while praying but Sri Amma automatically grants me, what all are good for me. Such is the compassion of Sri Amma for her devotees. Sri A.N. Balakrishnan, Thiruvanmiyur, Chennai 41. --> Once my husband misplaced Rs.20, 000/- in cash and he searched for it everywhere but could not locate anywhere. I prayed to Sri Amma sincerely and shortly, he found it under the seat safe. My husband and I once took our small grandson to a function in the evening. We suddenly noticed a scar like pigment in both the hands of the child while we were returning. I was very much worried fearing whether it could be some serious skin disease. My husband consoled me saying it would not be any serious thing and that we could take him to a good skin specialist next morning. He further assured that it would turn to be nothing serious. The whole night, I was praying to Sri Amma seeking her blessings so that the test does not show anything serious. Next morning, when I checked the hands of the boy, there was no trace of the scar like pigmentation there! A devotee from Thiruvanmiyur, Chennai, who does not want to disclose her name. --> My daughter is a computer engineer working in the US. She had been married for the past ten years but without any progeny. Initially, we did not attach much importance to this since my daughter is having other health problems to attend to. But as years went by, she and her husband began pining for kid since all their peers are having children and enjoying a complete family life. Both of them started consulting doctors in the US to help her conceive. She underwent many tests and treatments for a length of time but of no avail. My husband and I had been to Sri Sakkarai Amma Temple and we eventually were drawn to the Mother by her serene and simple grace and benevolence. One evening, we were just offering our prayers expressing inwardly our desire to bless our daughter with a kid. Call it coincidence or whatever, at that time, Mrs. Sumana Suresh, grand daughter of Late Dr M C Nanjunda Rao was standing by our side and telling somebody that she was born to her parents by their praying to Sri Sakkarai Amma and that she is the living example of the Divine Mother’s miracle. Those very words were like tonic for us and we felt elated and thought it a good omen. We prayed fervently to Sri Sakkarai Amma and left the temple with a confident mind. Just after two months, one fine morning, we got a phone call from my daughter in the U S. She was so happy and thrilled to inform us that she was in the family way. Our joy knew no bounds. We silently thanked God and Sri Sakkarai Amma. Now my daughter is the proud mother of a one-year-old boy. Mrs. P. Subarmanian, Besantnagar, Chennai 90. --> I, along with my family visited Sri Rangam, Trichy last year (23–01-04) to attend a marriage of my relative. In the course of marriage, there was a function on the terrace. There were two narrow staircases to reach the terrace. All of a sudden there was a flicker in the flash light of the camera and fire broke out. People started to run to escape. There was panic everywhere followed by stampede. The way out was so narrow and people were rushing to save themselves. In the melee, I was thrown out on the stairs. I was all along praying Sri Sakkarai Amma and made a total surrender to Sri Amma. I was in the middle of the stairs and many people ran over me but still I was breathing only Amma’s namam (name) and soon lost my conscious. The rescue team came and I was dragged out and hospitalized. I was in the hospital for a day and later I took treatment for burn injuries at Chennai for six months. I consider the above incident a miracle and I am fully aware and I firmly believe it was only Sri Sakkarai Amma that saved me on that fateful day. Sri C. V. K. Rao, Thiruvanmiyur, Chennai 41.